On Tuesday 6th February Gilkock Football Academy, Brufut Branch received 50 T- Shirts from Mr. John Carter through Saul Camara at the Talinding Central Nursery School. Receiving the T-Shirts on behalf of the Brufut Academy Mr. Buba K. Jallow the Technical Director thanked Mr. Carter for his laudable efforts and urges him to continue supporting the academy. In his speech he promised that the materials will be put into good use hence they came at a time when they are needed in earnest. Reacting to the reception of the T-Shirts, players, coaches and the parents of the players thanked John Carter and also prayed that God continues to shower his abundant blessing on to people like John Carter. In another development the Brufut Academy distributed 14 pairs of football boots to its players on Wednesday at the academy's training ground. The materials were donated by the Department of State for Youth, Sports and Religious Affairs earlier in November. Handing over the boots Mr. Abdoulie Kah Assistant Director of the Department urges the academy to continue the good job started and that such academies will help in the technical development of Gambian players. In conclusion he urges the academy to take the materials in good care. According to Mr. Buba K. Jallow the Technical Director at the distribution ceremony said “The academy will first of all thank the department for coming to our aid and then took the lead in the distribution which was fairly done”. The materials went to the regular players and can not afford football boots of their own. However on Friday, the academy thought it wise to look for any form of partnership with companies in the Gambia. Companies such as Gamcel, Africel (who are all mobile phone service providers), Access Bank, Taf Holding Company Ltd, J-Fin Money Transfer and Quantum Associate were all written to for any form of partnership/sponsorship and the academy is anxiously waiting for their responses. On Saturday 10th February the academy received some training kits from a couple called Daren and Judi from Preston, U.K.
Handing over the materials on behalf of the couple Mr. Alieu Sanneh a coach in the academy said, “The couple came from Preston where one of the Gambian players Sefoe Solley just signed a contract and is currently playing football for a living”. He continued to commend Judi and Daren for the wonderful job and urges them to continue helping the academy which is geared towards producing players like Sefoe. On his part Mr. Buba K Jallow, the Technical Director of the academy, thanked the couple and promised that the academy with this kind of help can produce excellent players in the future. He urges people to help because even the used materials in Europe are very appreciative by the academy. The materials include some football jerseys and shorts. On Sunday 18th February, as part of events marking the 42nd Anniversary of Independence, Gilkock Football Academy hosted a renown football club Gamcel from the southern part of the Gambia for a friendly game. As usually, before the start of the game, Mr Buba K Jallow, the Technical Director of the academy thanked the visitors for coming and advised both teams to be disciplined as many people came to watch the game. However, unfortunately for the academy Gamcel went ahead in the 9th minute of the first half leaving the young boys struggling to pick their normal style of play. Before the academy could adjust to its level, they conceded another goal. Without wasting much time, the boys realized what their opponents are made off and adjusted themselves to gain total control of the game. Before the end of the first half, a consolation goal was scored by Sainey Manneh. This goal made the boys believe in themselves and they went on to equalize. Upon resumption to the second half the Academy then rectified their mistakes and started playing the sexiest football leaving the fans to cheer more. However, their efforts were scattered when defensively they made another mistake allowing the visitors to go ahead again. Still working hard, the boys, led by inspirational captain Ebrima Bojang stamped their authority by dominating the whole possession which led them to their second goal by Kisima Bojang. Whilst pushing for an equalizer the academy forgot about their defense which resulted to their visitors snatching the fourth goal ending the game at 4–2. Addressing the players at the end of the game, Baboucarr Sanneh Secretary of the visiting team Gamcel, thanked and hailed the Academy for the wonderful soccer they play and said “If you can continue like this for the next four years your Academy will produce the best in the Gambia”. Finally both teams agreed on a bilateral relationship and promise to play each other on more occasions. On Friday 23rd February, eight out of the fourteen teenagers selected to play in the Brufut United Football Club aided the team to record its first victory over Batokunkun United in the Third Division qualifying round at the Briakma Mini Stadium. The team won 3-0 in which two of the academy players Kisima Bojang and Sainey Manneh were all in the score sheet. 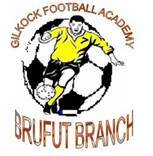 Impressed with the performance of the academy players Mr Pa Jatta, Chairman of the Brufut United team thanked the coaches of the academy and said “I was surprised to see these boys play the way they did. In fact I will encourage anyone who can help especially Gambians abroad to render any help to the Academy for I have now seen the reason and importance of the Academy”. He also advised the Academy players to be disciplined and work hard towards qualifying Brufut United to the Second Division which would be 'a dream that can come through'.